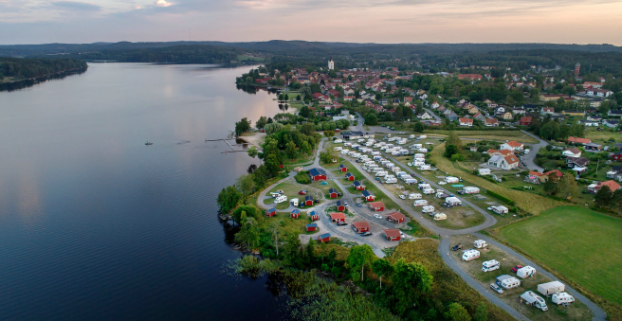 Nora in Västmanland is just half an hour’s drive north of Örebro and is perfect if you appreciate nature while wanting to be close to the comforts and services on offer in town. 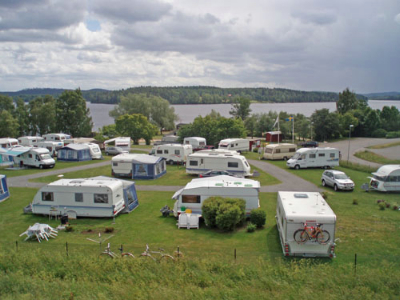 There are 100 pitches for caravans, motorhomes and tents, as well as 15 cabins of different shapes and sizes. 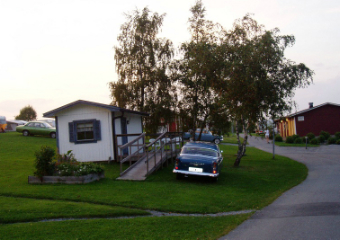 Nordic Camping Nora used to be called Trängbo Camping, and is a peaceful and child-friendly site, suitable both for long-term guests and those who are just passing through. The area offers plenty to choose from. When the sun is out, take a dip from the beach directly adjacent to the site - it’s sure to be deliciously cool. There are plenty of jetties and a pontoon with a diving tower - if you dare! If you are the competitive type, why not play a match or two on our beach volleyball court? Or hire a canoe or rowing boat for a lovely day on the lake. 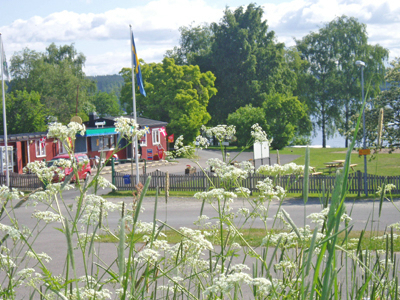 If you want to explore and learn, then Nora has plenty of sights for you: Göthlinska Gården manor, Pershyttan’s cabin and mountain village, the Konunga-Stollen mine gallery, the Nora Bergslagen heritage railway and much more. The troll lives on Alntorps Island, and children can enjoy themselves as they follow the troll trail. 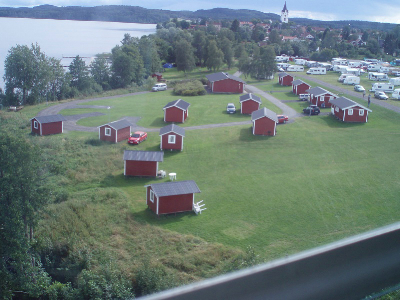 On some days during the season, there are also children’s theatre performances staged on the island, which you and your kids can reach quickly and easily on board the boat Plaskus. The picturesque centre of Nora, dating back to the Middle Ages and with some buildings from the 18th century, is just a ten-minute walk away. 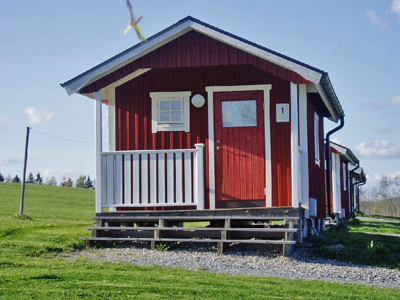 Nordic Camping Nora features 15 cabins that are equipped differently but all include a toilet/shower and kitchen. 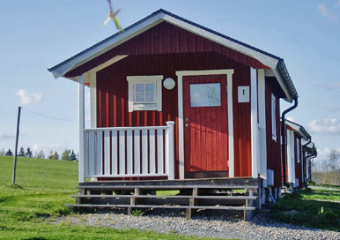 All cabins come with crockery, coffee makers and bedding - please bring bedsheets and towels. 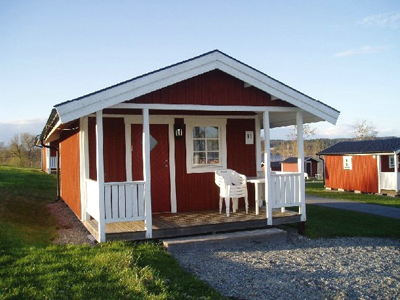 Outdoor furniture is available for each cabin. Check in at 15:00, check out at 12:00. 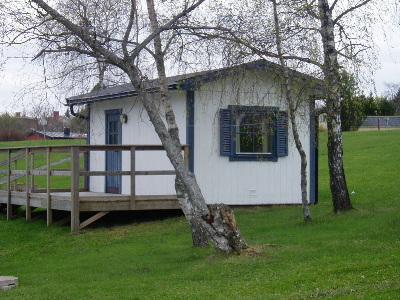 All guests staying in our cabins have full access to our service buildings. 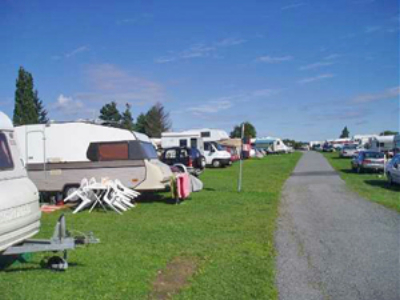 Welcome to Nordic Camping Nora and bathing area, which is situated just a 10 minute walk from Nora centre. 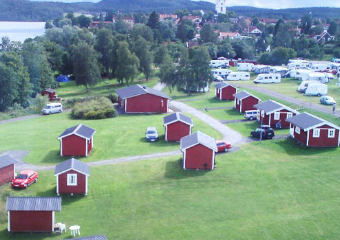 Nordic Camping Nora has several 4-bed cottages, basic without shower and WC and fully equipped with all comforts. 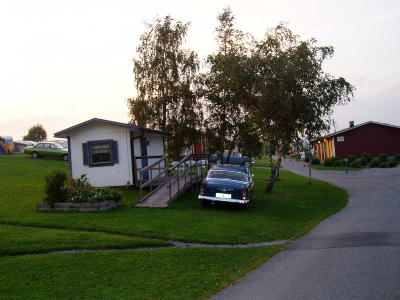 There is a cottage suitable for the disabled, as well as shower and WC for the disabled in the adjacent service building. Several of the cottages have verandas with outdoor furniture.